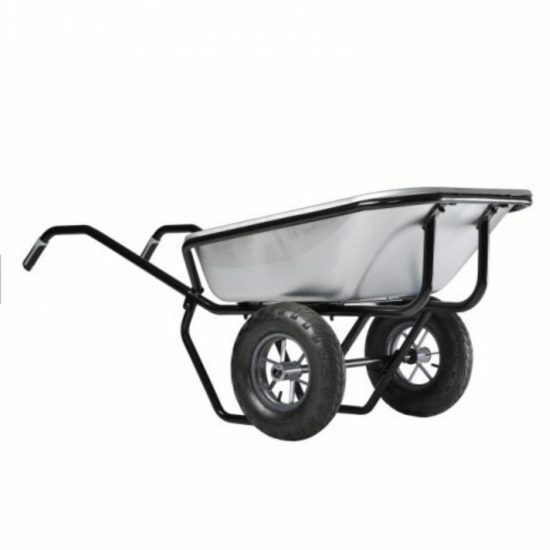 Comfortable Slip resistance handle grips offer a soft feel and a better control. HEAVY DUTY TRAY Heavy duty tray with a large 100 Ltr capacity with side ribs and double shifted edges for extra strength. 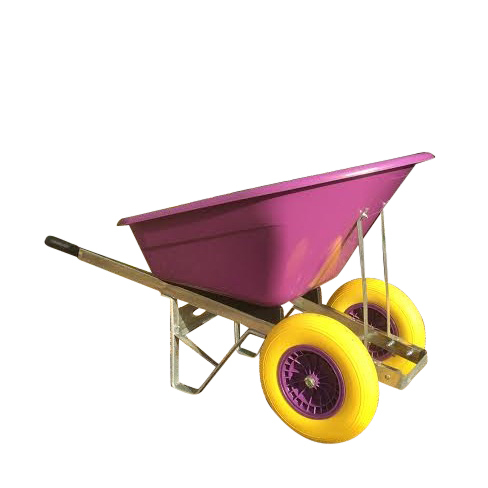 Long lasting fully epoxy powder coated skin. 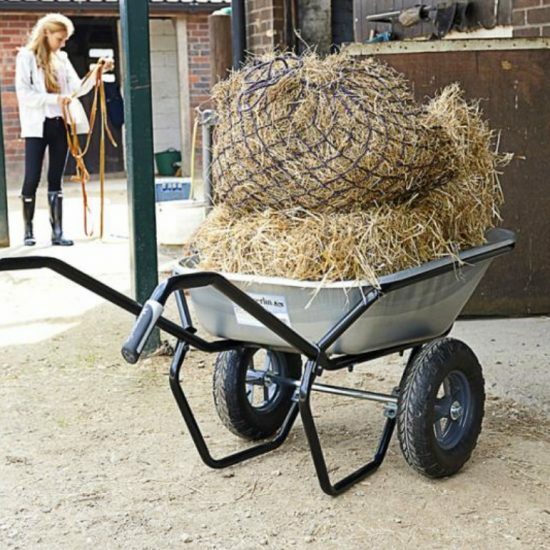 Strong and large frame with an all steel tubular design which includes a tipping bar for easy unloading. 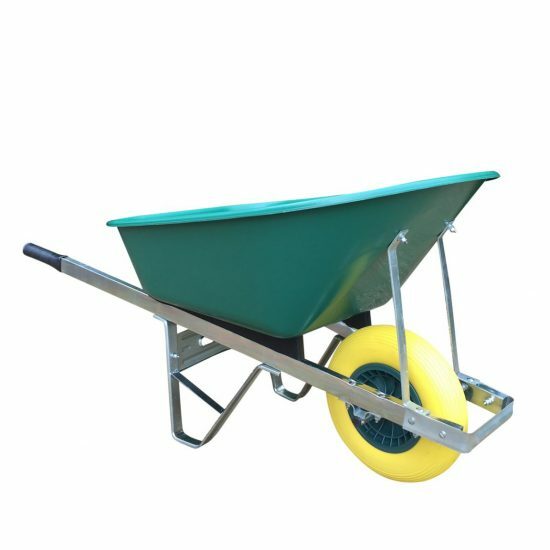 LARGE PUNCTURE PROOF WHEEL Large diameter puncture proof tyre offers a perfect balance and a smooth ride even when heavily loaded. 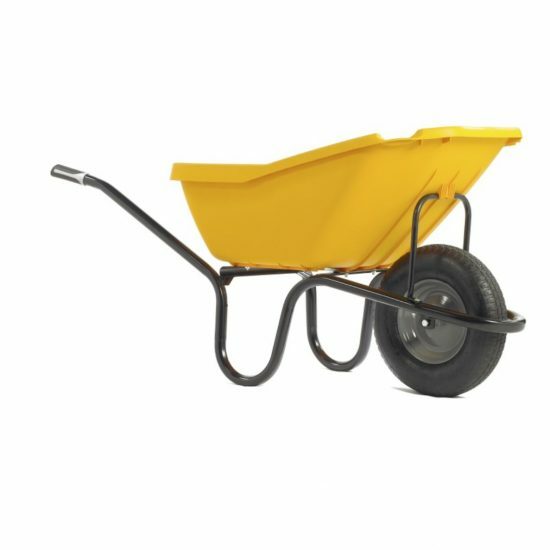 Wheel type Bearings. 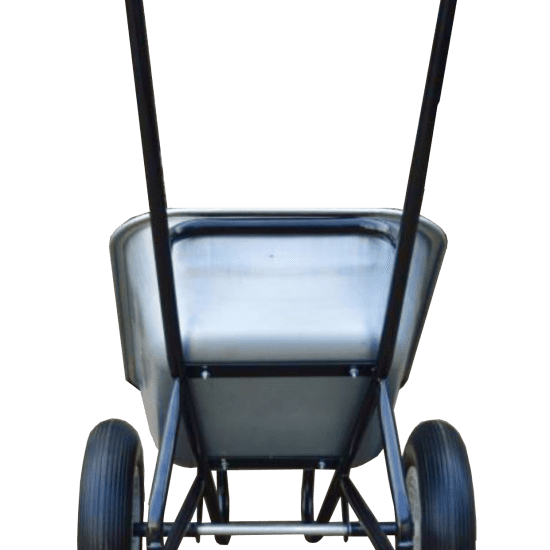 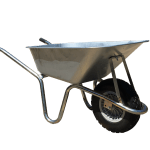 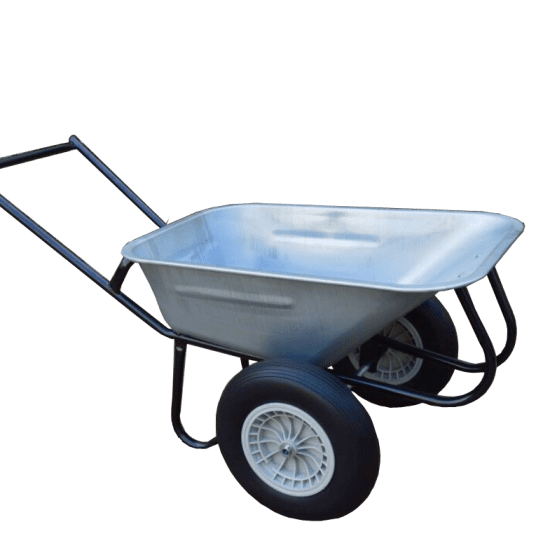 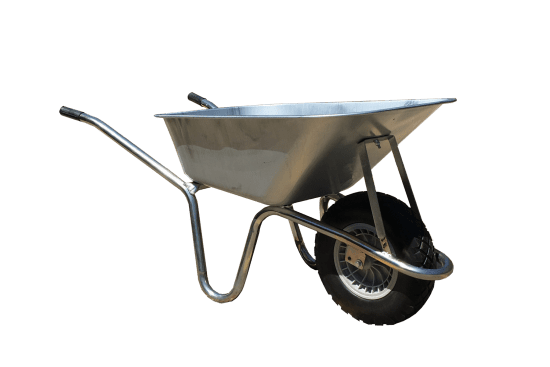 FULLY ASSEMBLED as always, Wheelbarrows Direct will deliver the wheelbarrow correct assembled and tested for quality and safety. 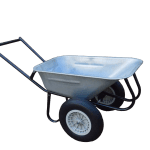 We do not send flat pack wheelbarrows as quality can be lost if not assembled correctly. 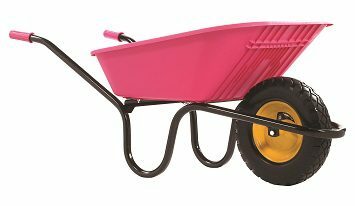 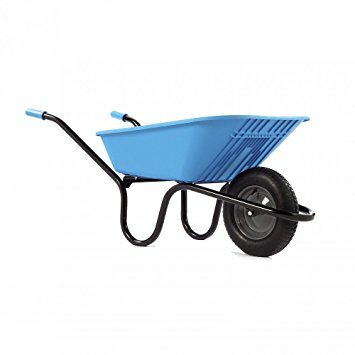 This wheelbarrow is the preferred option for builders for its endurance and ease of use with heavy loads. 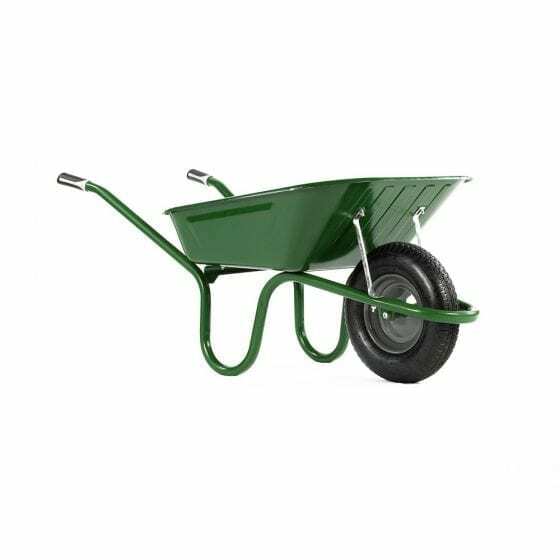 We also receive numerous enquiries from Landscapers, Gardeners and Tree Surgeons for this particular variant.